Tesla Motors will unveil its Model 3, the mass-market car, and new versions of the Model S sedan at the event Oct. 9, analyst Trip Chowdhry with Global Equities Research said in a note Friday. It is no coincidence the event is to take place in the Los Angeles area rather the San Francisco Bay Area, where the electric-car maker is headquartered: Tesla's top designer "spends almost 90% of this time in the LA Design Center," Chowdhry said. Tesla earlier Friday said the event was scheduled for 7 p.m. at the Hawthorne airport. By showing a Model 3 prototype Tesla is also hoping to garner more attention from potential "gigafactory" investors, he added. 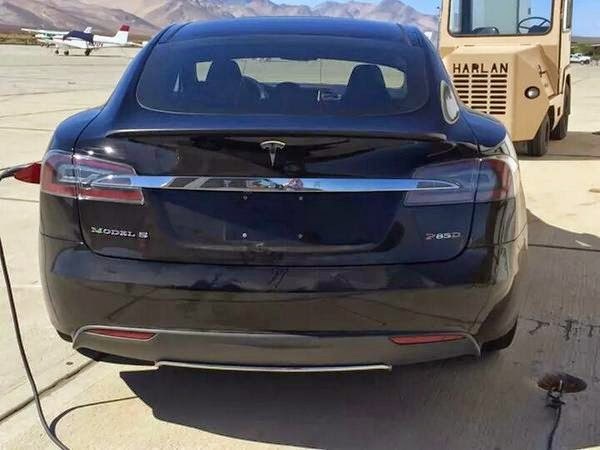 The new Model S versions would have all-wheel drive and semi-autonomous driver-assistance system.